ReviewSaurus which have recently started DesignSaurus has released 5 minimalist themes, named DailyBook, SkyHigh, Trilogy Next, Musicca, and GreenW.They all are based on the same structure with some changes in the color, image and/or look.They have a very good look and are mainly aimed at users whose focus is on the content but at the same time the overall look is classy and in accordance with the latest design trends. 1. Advertising Ready : The theme comes with two 125×125 banner spots on the sidebar. You just need to upload the banners to the theme “Images” folder and update the ads.php file. Adsense is integrated in the inside page in top section of the post area. Both these are ready in the theme, but you can choose not to use them now. 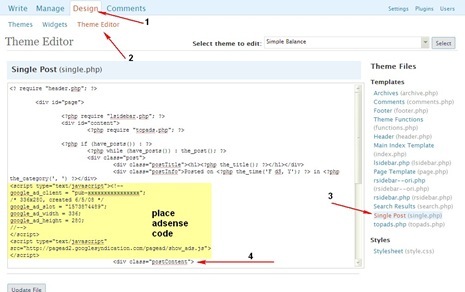 The “Theme Options” section inside the WordPress control panel enables you to insert the Feedburner URL, which will be used all over the theme. No need to enable the Feedsmith plugin. 3. Widgets Ready : The themes supports widgets, so just drop the ones you use. 4. About the Author Section : The theme comes with an alternative footer which has the about the author section instead of the Flickr Photos shown in the variation SkyHigh. You can upload your picture and a small description using the footer.php page. 5. Display Your Recent Flickr Photo : The footer area already has the plugin integrated – you just need to put in your Flickr details in for it to display your recent Flickr photos. 6. Related Post Plugin Integrated : Built-in support for the Related Posts plugin in the inside page after the post area and the theme is also compatible with all known and tested WordPress plugins. 7. Comments Styling : Author comments have a different style. 8. Search Engine Optimization : The meta and title tags are already optimized for search engines. 9. Change Header easily : The whole of the header is a single image so you can create one using photo and title font of your choice and just replace the image. For those who don’t know how to create such an image – please use the alternative header with just the image (we have provided an alternative header image, in case you don’t like the current header) or you can define the blog name through wordpress admin and it will appear as text as shown in the variation DailyBook. 10. 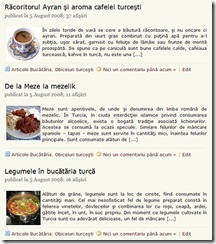 PSD and Fonts : All the themes include the PSD and FONT for you to change the header according to your needs.